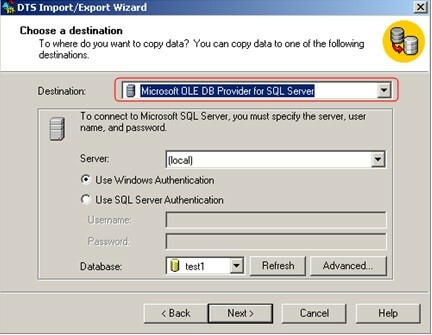 When using QODBC with MS SQL Server, the Use DCOM Server option should be checked in QODBC Setup Screen (Server Edition Tab). 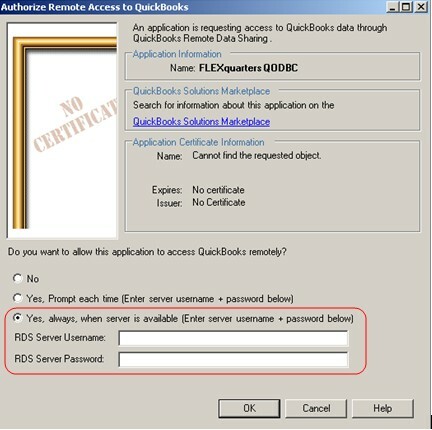 If you want setup remote connection using RDS Server/Client, please see: Accessing QuickBooks data remotely via QODBC v9 and above using RDS for more. 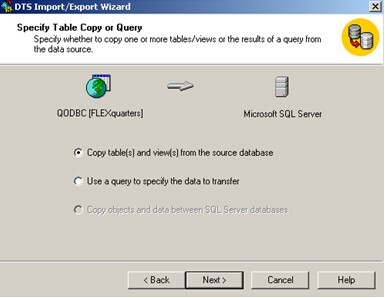 Note: Using RDS to import QuickBooks data into MS SQL Server remotely is almost the same as it on the local machine. The little difference will be listed below. 1. Run Service Manager of MS SQL Server. 2. Run Enterprise Manager of MS SQL Server. 3. 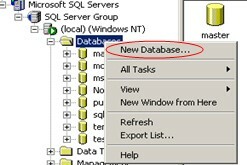 Create a new database in SQL Server Enterprise Manager and name it test1. 1. 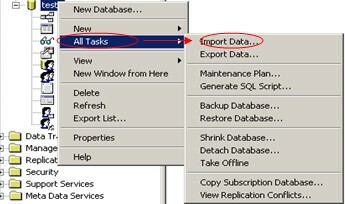 Right click test1 -> All Tasks -> Import Data. 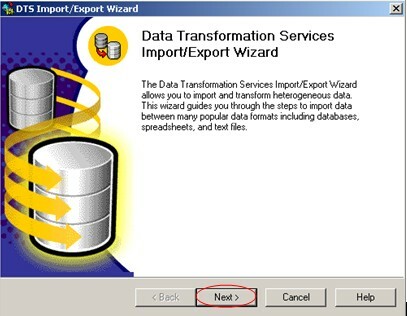 The DTS Import/Export Wizard dialog box pops out. Click Next to go on. 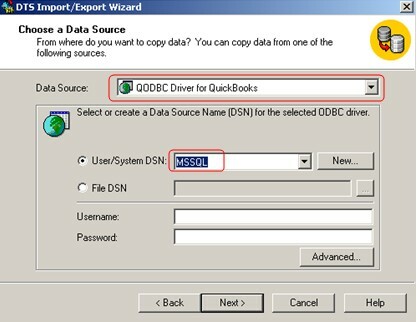 Select QODBC Driver for QuickBooks as the Data Source and MSSQL (which has been created before) as the User/System DSN, then click Next. 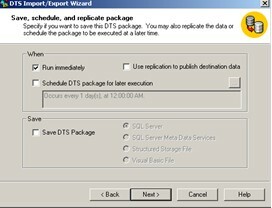 Set the Destination the default SQL Server option and Next. 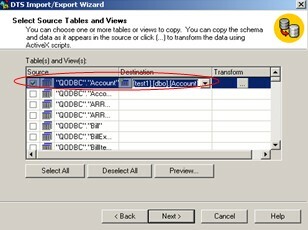 Select the options to specify table copy or query and Next. Select source tables and views you want to copy and then Next. 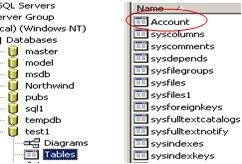 Here I take table Account as an example. 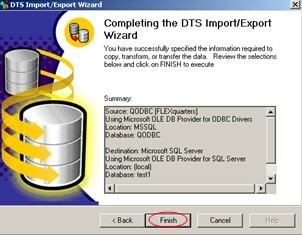 Finally, press Finish completing the DTS Import/Export Wizard. 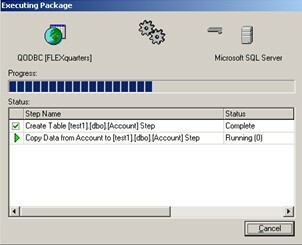 Waiting for the data copy from QODBC to MS SQL till it pops out a dialog box to say successful copy. Now we can see table Account in test1 data source.